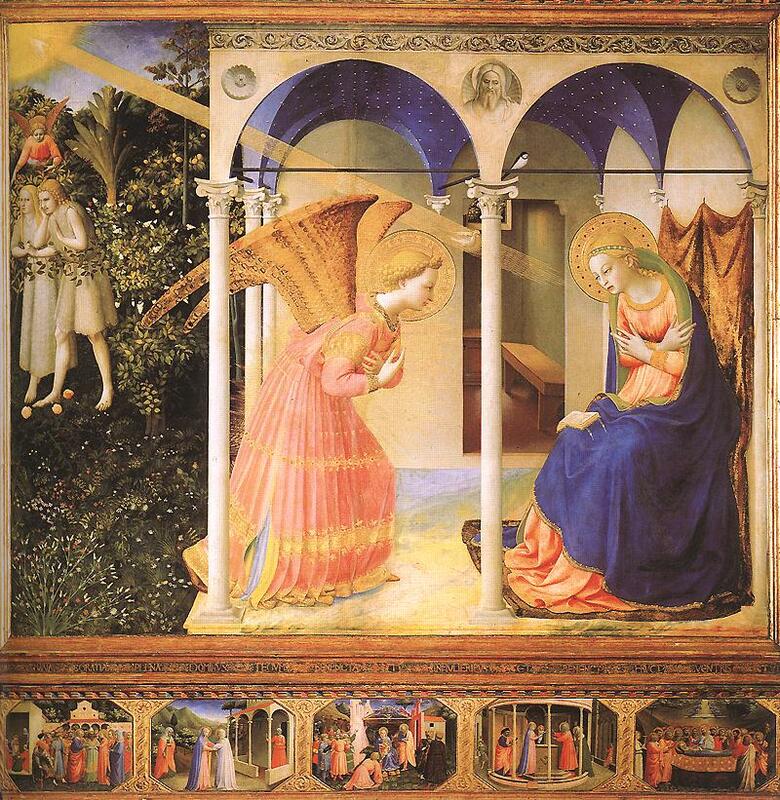 The feast of the Annunciation celebrates the angel Gabriel’s announcement to the Virgin Mary that she was to become the mother of the Messiah, and her willing submission to God’s will, whereupon the Word of God was conceived and made incarnate in her womb. The celebration of the feast probably began in the East in the fifth century and was introduced into the West in the sixth and seventh centuries. By the time of the Tenth Synod of Toledo in 656, it was celebrated nearly universally in the Church. While the feast falls exactly nine months before December 25, it is likely that the dating of the birth of Jesus depends on the dating of his conception, rather than the other way round. There was widespread belief amongst first century Jews in the “integral age” of prophets and other great men of God, like Abraham; that is, that their lives formed an integral whole, and that they died on the same dates as their birth or conception. Thus, from a presumed dating of the crucifixion to March 25, the angelic announcement to Mary and the conception of Jesus were dated to March 25, and the birth of Jesus to December 25, nine months later. Gabriel announced to Mary that she would conceive and bear a Son who would be the Messiah, the Son of the Most High, whose name would be Jesus. 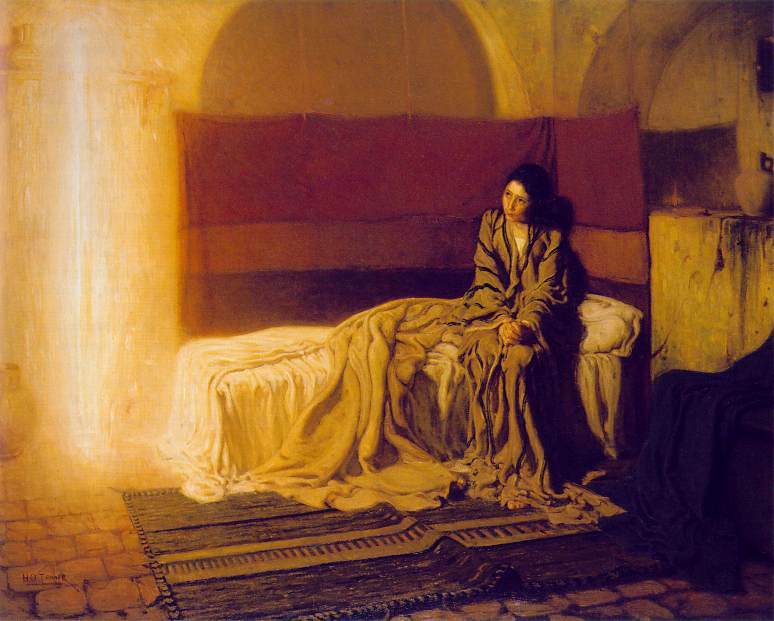 Astounded, Mary asked how this could be so, since she was a virgin and as yet unmarried. The angel replied that the Holy Spirit would come upon her, and that the power of the Most High would overshadow her, and through this divine means she would conceive. “With God,” said Gabriel, “nothing is impossible.” The same God who had caused Mary’s elderly and barren cousin Elizabeth to conceive would also cause her to conceive without the agency of a man. ” The Messiah was to be born, “not of blood nor of the will of the flesh nor of the will of man, but of God” (John 1:13). Mary was chosen by the grace of God to be the mother of the Messiah, and so Gabriel called her “favored one”, and Mary’s assent to the angelic announcement opened the way for God to accomplish the salvation of the world, so that all generations call her “blessed” (Luke 1:48). Cyril of Jerusalem was the first to use the title Theotokos, “God-bearer”, for the Blessed Virgin Mary, a title that was affirmed by the Council of Ephesus (the Third Ecumenical Council) in 431. In the mid-second century Justin Martyr wrote that Mary is “the new Eve”, and as the mother of the New Israel, Mary is the counterpart to Abraham, the father of the chosen people of God. Although the festival has long been associated with the Mary (in England it is called “Lady Day”), it is a feast of our Lord – the feast of the Annunciation of our Lord, the commemoration and celebration of his conception in the womb of the Blessed Virgin Mary. In many parts of western Europe, throughout the Medieval period, the Renaissance and even into the eighteenth century, March 25 was considered the beginning of the new year, reflecting the idea that with the Lord’s conception a new age had begun. There was also a tradition that March 25 was the day on which the world was created, thus joining the first creation and the new creation in one day. The scripture texts for the Lesson, the Epistle, and Gospel are taken from the English Standard Version Bible. 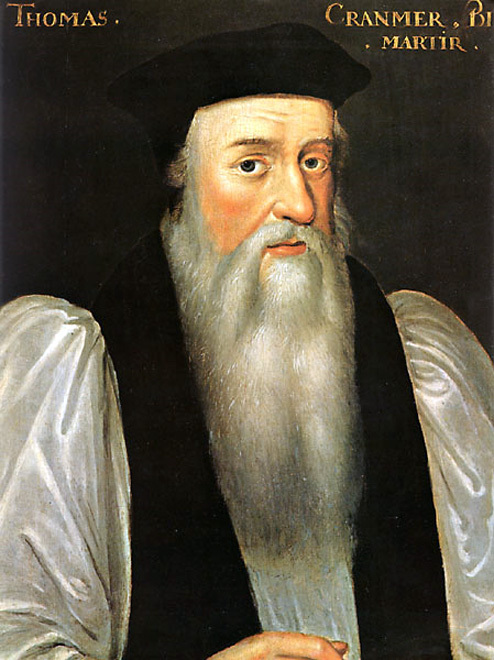 The Collect, Psalm, and Canticle are taken from the Book of Common Prayer (1979).